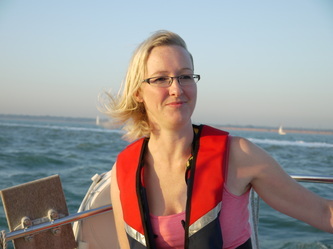 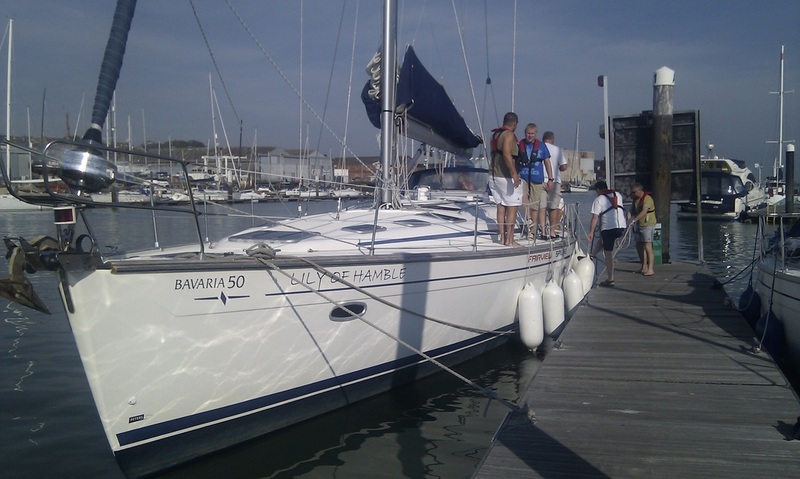 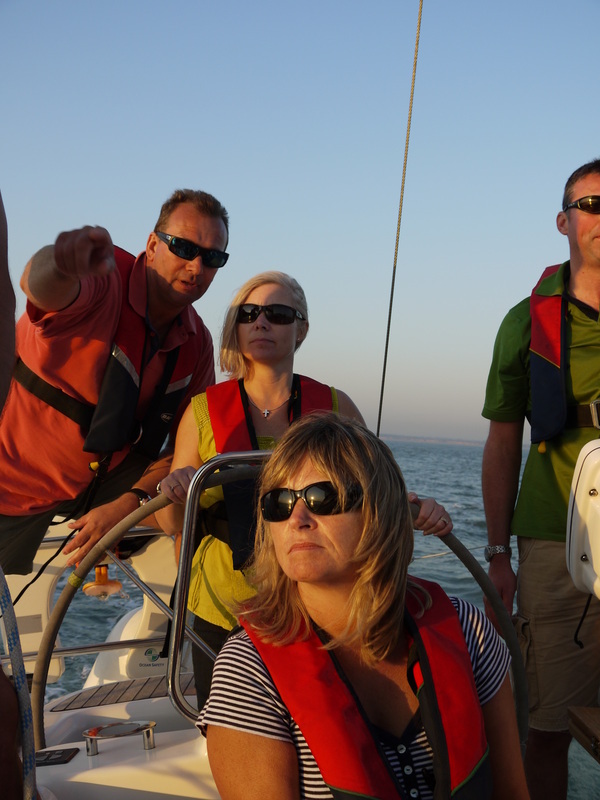 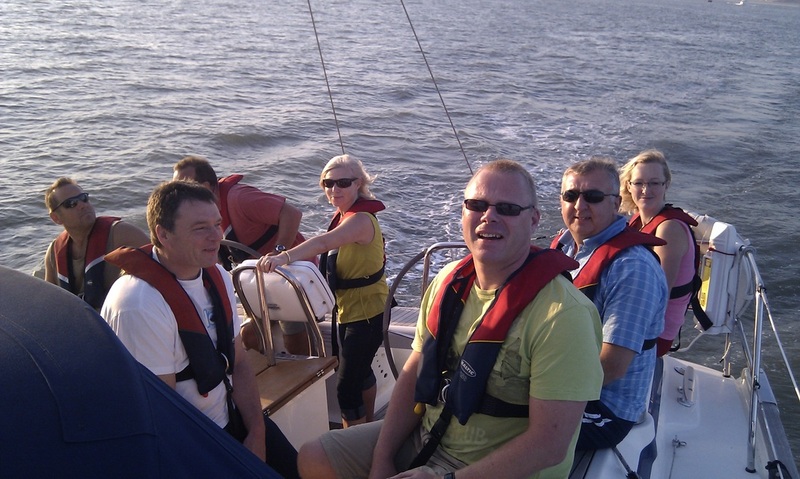 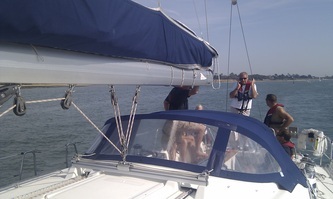 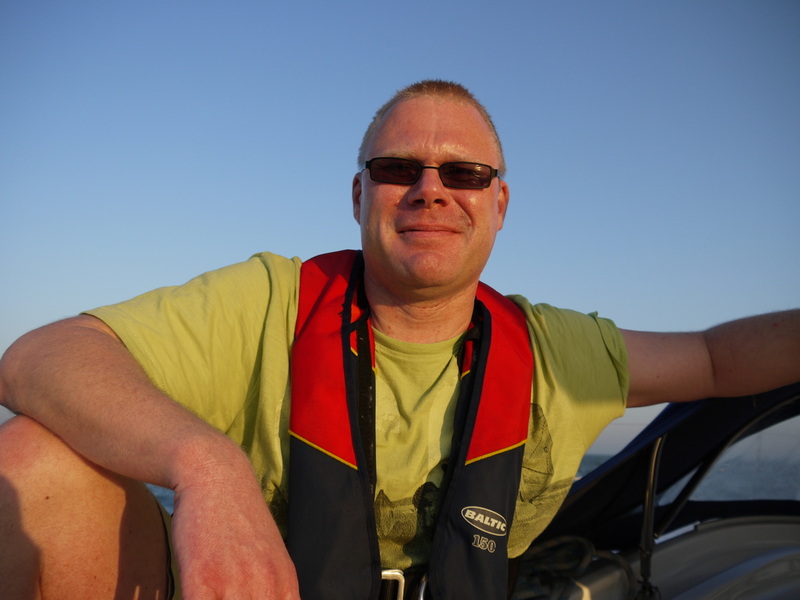 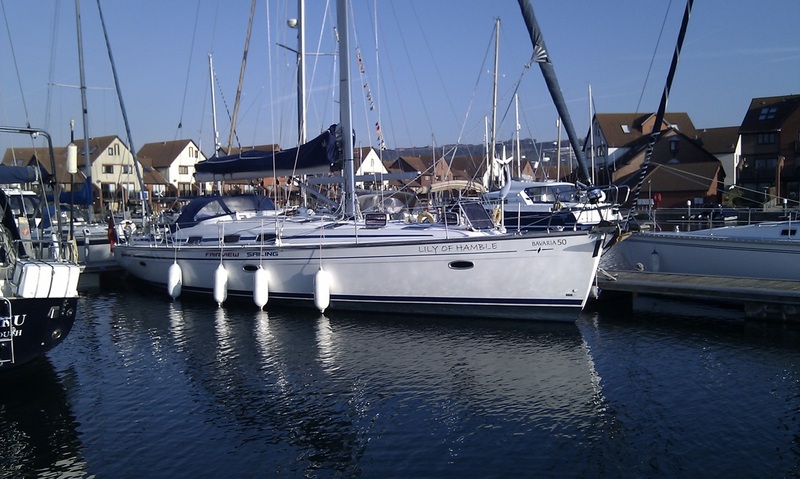 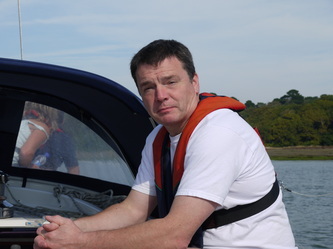 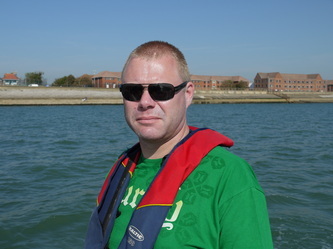 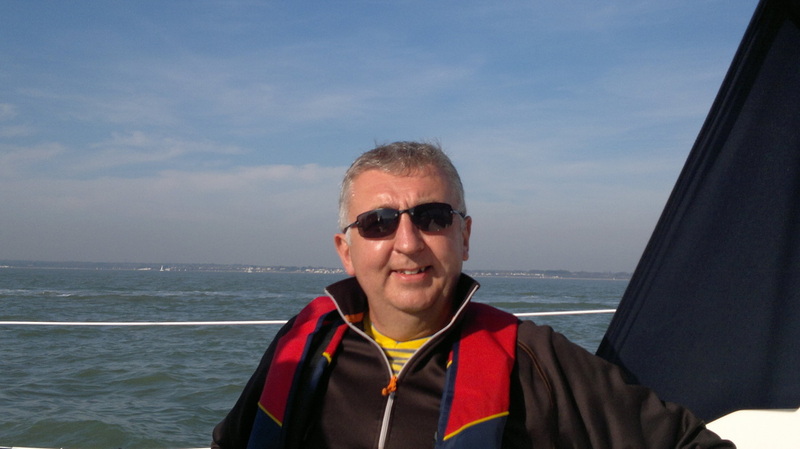 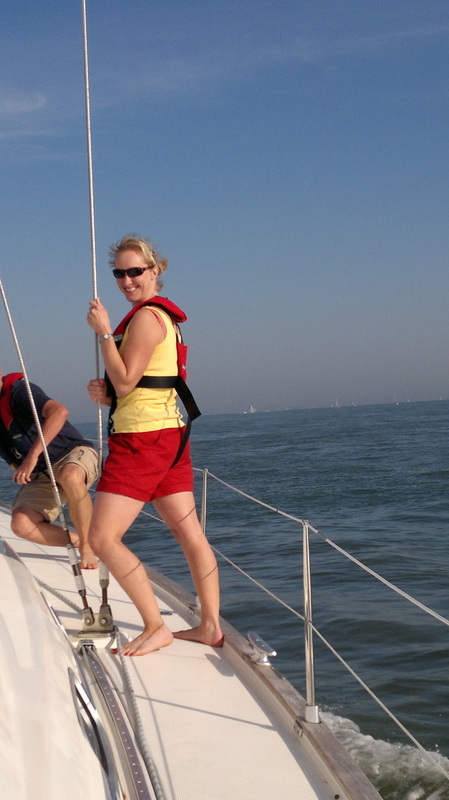 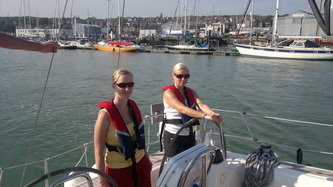 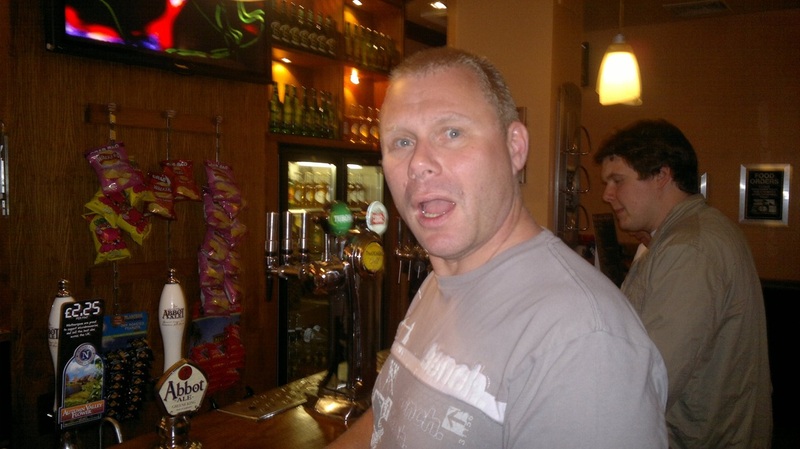 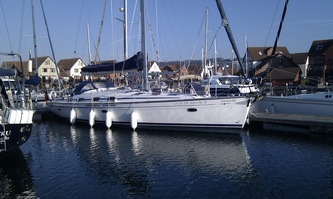 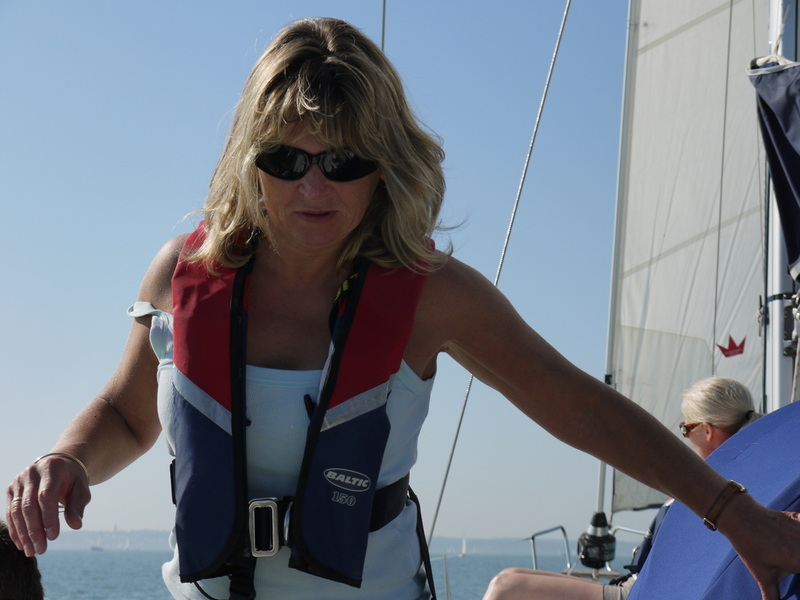 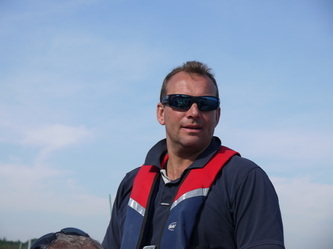 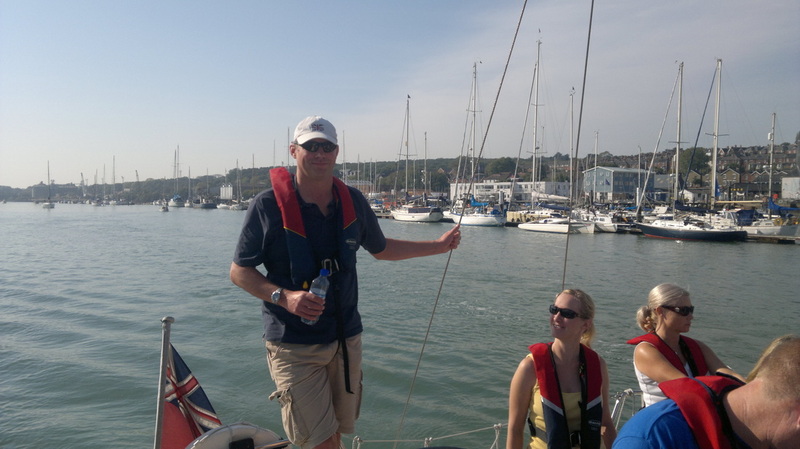 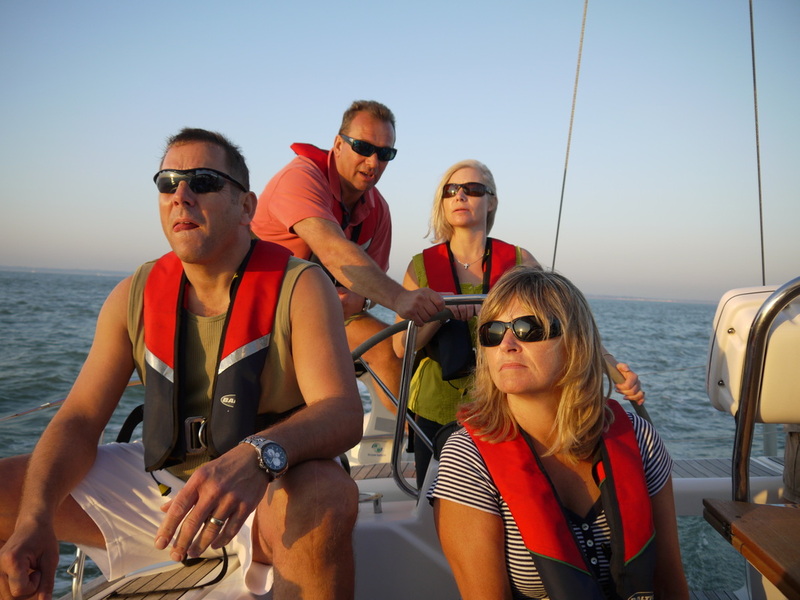 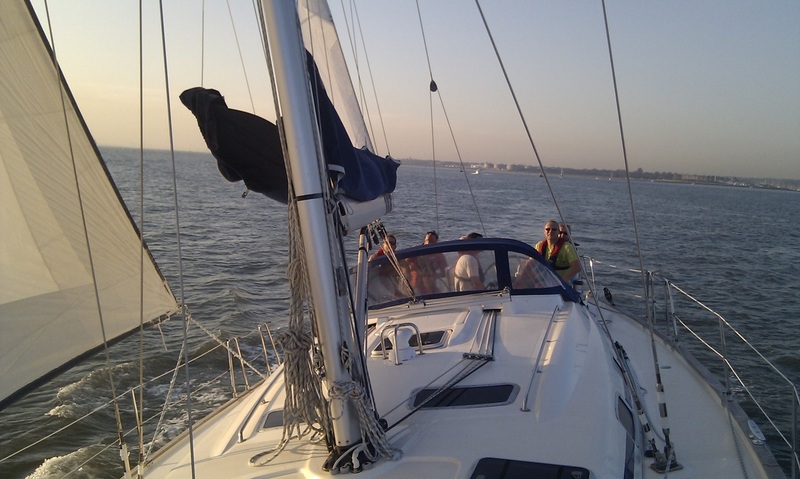 Starting on 30th September 2011 with temperatures of 26 degrees, 10 members boarded a 50 foot Bavaria yacht 'Lily of Hamble' for the weekend cruise around the Solent, skippered by Noel Lightfoot. 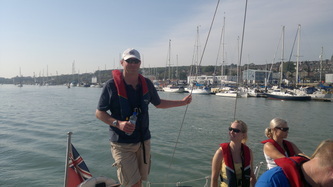 After a short briefing, lines were slipped and a very enjoyable sail across the Solen to Cowes began. 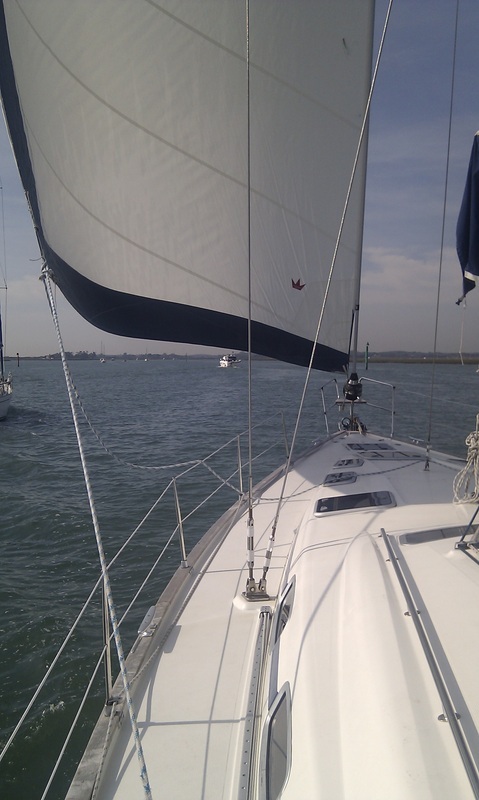 Winds were perfect for a close reach across. 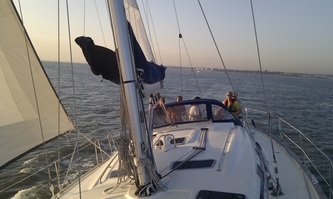 The perfect start to the weekend. 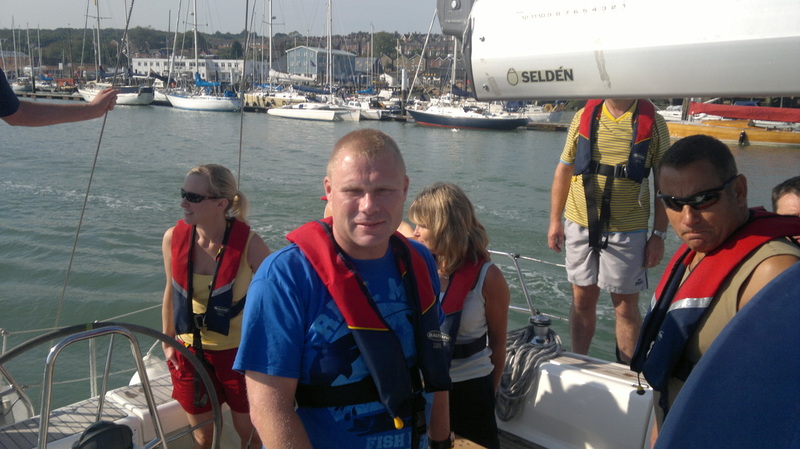 After a fishermans pie, followed by home made carrot cake aboard crew went to the Lifeboat pub in East Cowes to wash the meal down. 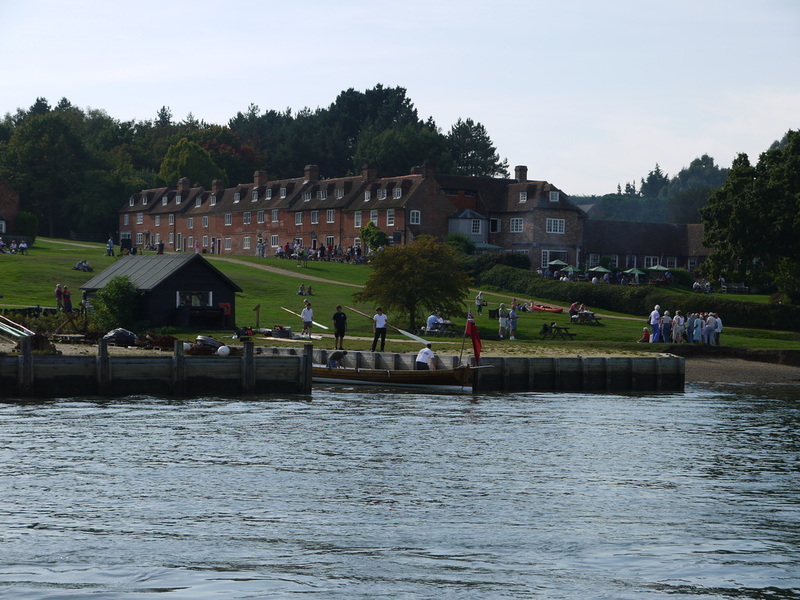 Saturday saw more perfect conditons for a gentle sail across the Solent and up the river Beaulieu to Bucklers Hard for lunch. 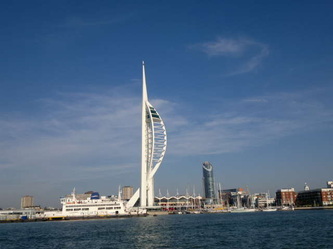 Winds remained light throughout the afternoon and after 3pm, it became too light to sail against the ebb tide and the motor was reluctantly started for a steady motor to Port Solent, Portsmouth. It wasn't a surprise to hear that there had been record temperatures for October of 29 degrees on the South Coast. 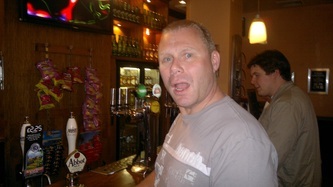 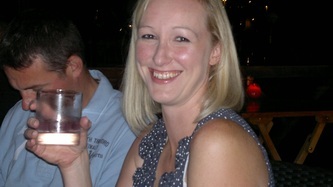 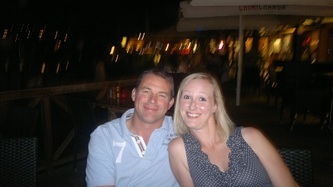 It was a pleasure to eat outside in a Mexican resteraunt in Port Solent, in the evening heat. 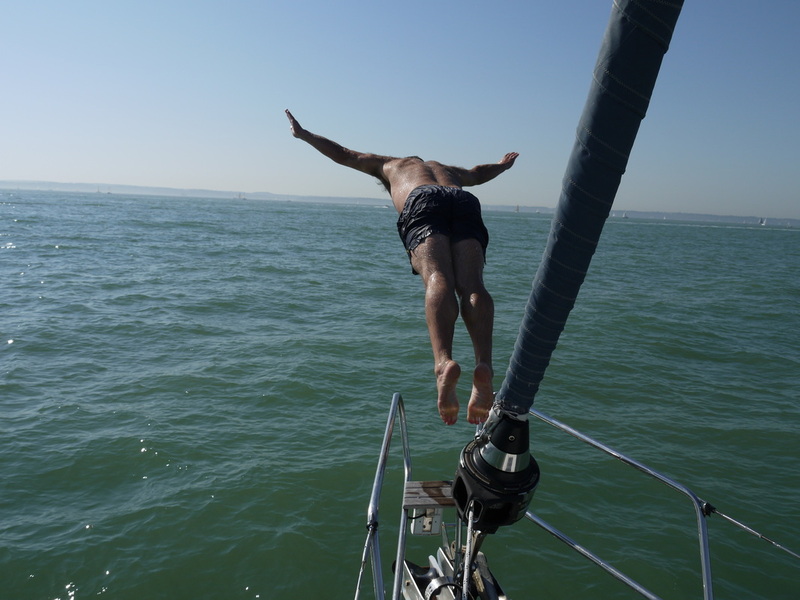 With only a breath of wind on Sunday, it was a gentle motor to Stokes Bay where 9 of the 10 crew decided to jump in for a swim. 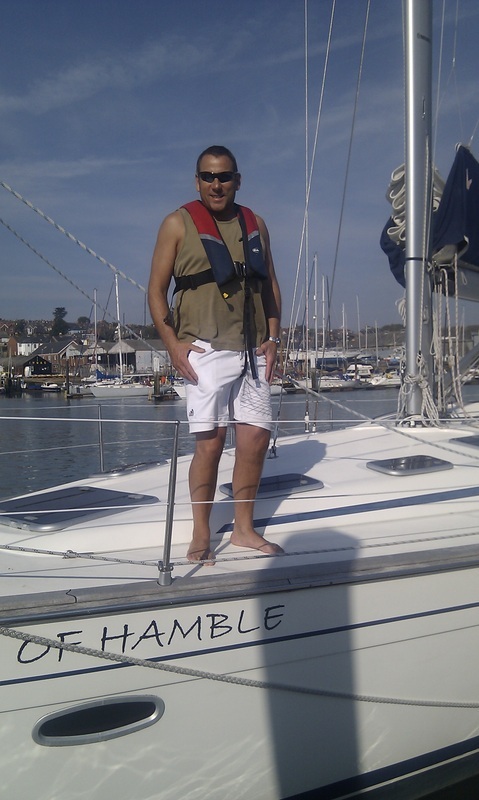 Following lunch, we sailed for another hour before motoring the final couple of miles into Hamble where we handed the yacht back.